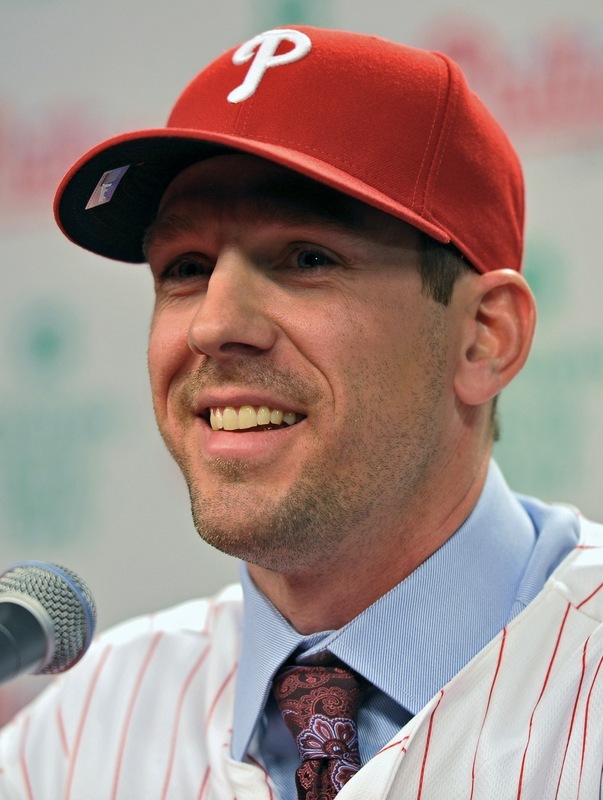 Over the next couple of days, both Wilchiro and I will be working on a two-part Cliff Lee feature article. I’ll be recapping the trade that brought him to Philadelphia from the Cleveland Indians, and Wilchiro will cover the deal where they shipped him to Seattle and Teix will analyze the trade to Texas that landed him in his second World Series. We all remember the anticipation surrounding the sweepstakes. For Indians fans who stopped by to catch a game during the early weeks of summer, you knew that every time you saw Cliff could be the last. This was an Indians team far, far out of contention, relying on young players and having a pitching staff as awful as an AMC Pacer (that is, besides Lee of course, him being more of a Chevy Camaro). The path of any team with such a poor record and a superstar on their hands is to trade him for multiple young prospects that will help the team. The Indians had done the same the previous year, sending staff ace C.C. Sabathia to the Milwaukee Brewers for a number of young guns, including current Indians regulars Matt LaPorta and Michael Brantley. The path was simple, but Mark Shapiro knew that with Lee he had a goldmine; a player coming off of going 22-3 with a 2.54 ERA, the kind of starter a playoff contender needs to push it over the top. SP Cliff Lee: Although Lee only gave them half a season of pretty good pitching (7-4, 3.39), he had a 7.4 K/BB ratio that would make most starters jealous, not to mention a sub-1 WHIP for the first time in his career. However, his most valuable contributions to the team came in the playoffs. Over the course of the NLDS, NLCS, and World Series, Lee had a 4-0 record with a 1.56 ERA, outdueling Ubaldo Jimenez and the Rockies in the opening game of the NLDS, pitching a complete game, 3-hit, 10-strikeout shutout in Game 3 of the NLCS against the Dodgers, and leading the Phillies to their only two wins of the 2009 World Series against the New York Yankees in Games 1 and 5. It’s safe to say that Lee’s outstanding performance in the postseason was one of the main factors in why the Phillies made it as far as they did. I’m going to give him four and a half stars out of five, the only thing keeping him from a perfect score being the fact that he only contributed for 2 months of regular season ball. 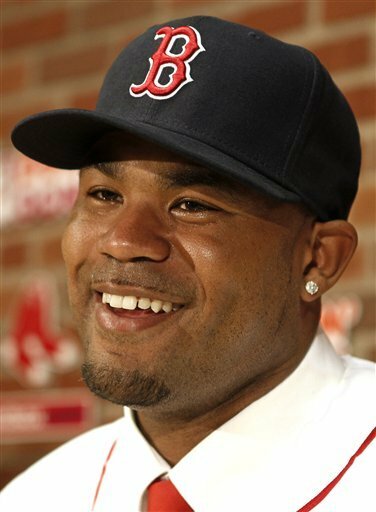 OF Ben Francisco: Francisco was coming off of a solid 2008 rookie campaign as the starting leftfielder for Cleveland, hitting .266 with 54 RBIs and a 1.4 WAR value (comparable right now to, say, Kurt Suzuki), along with a mediocre 2.7 UZR/150. Not a starter on most other MLB teams, and a throw-in in deals like these. Upon his arrival in Philly, he was moved to the bench (not being a better starter than Raul Ibanez), and proceeded to slug .526 as a pinch-hitter. In contrast to Lee, Francisco did nothing during the playoffs, going 0 for 11 while only reaching base once. In 2010, Francisco’s been hitting a pedestrian .252 with little to no power as Philadelphia’s fourth outfielder. He provides spot-on defense in left with a 27.2 UZR/150, while he’s been horrid in right, with that statistic measuring -44.4 on that side of the field. The bottom line is, Philadelphia acquired a slightly below-average hitting backup outfielder who can adequately fill in in leftfield, but is a liability anywhere else you put him. I’m going to give him 1 and a half stars out of five, because this spot on the roster could be filled by someone with more speed, defensive skill, and pop in the bat. SP Carlos Carrasco: Carrasco was a highly touted prospect for Philadelphia, dominating the lower ranks of the minors with his fastball, which topped out at 96. Although some scouts questioned his command, the sheer ferocity of his fastball and the added bonus of two plus off-speed pitches (a changeup and a curveball) made him a very attractive commodity. After a 2008 season in which he averaged over eight and a half strikeouts a game for AA Reading and had a successful taste of AAA Lehigh Valley, he was poised to take the International League by storm in 2009. Despite an ugly ERA of 5.18, his high strikeout rating and velocity kept his value high. After the trade, he reported to the Indians’ AAA Columbus affiliate, going 5-1 with a 3.19 ERA and holding opponents to a .196 batting average. This made the Indians think that he was ready, and he proceeded to get absolutely hammered in the majors: 0-4, 8.87 ERA, as many walks as strikeouts, and giving up 6 home runs in 5 games. despite that major rough patch, and have kept him in AAA all year for more much-needed seasoning. He’s currently at 10-5 with a 3.71 ERA, respectable numbers. His days of unreal K/BB ratios are gone, his strikeout numbers have tanked, and his BAA is higher than it used to be, but there is still potential there. Baseball America ranked him as the #8 prospect in Cleveland’s system, and the #4 pitcher in the organization. Carrasco has been one of the most puzzling pieces of this trade: I’m giving him 2.5 out of 3 stars, because the jury’s still out. He could still be able to contribute to Cleveland whether as a starter or reliever, and just as easily he could flame out and leave baseball. Only time will tell. C Lou Marson: Marson was fresh off of two high-RBI seasons in 2007 and 2008 for Class A+ Lakewood and AA Reading. Baseball America had him ranked #3 in the Phillies’ system, praising him as “the Phillies’ most polished minor league hitter, with the system’s best plate discipline and a professional approach.” Pretty good for someone who hadn’t even turned 23 yet, eh? He was hitting .294 for AAA Lehigh Valley at the time of the trade, with a 4 for 17 cup of coffee with Philly. Like Carrasco, he reported to Columbus, and his batting numbers immediately dropped. He only hit .243, with his OBP and and SLG in the low .300s. He has yet to shine in the majors since coming over in that trade from the Phillies. 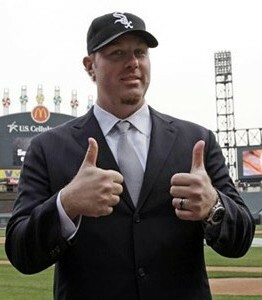 SS Jason Donald: Remember the guy that was called safe on Armando Galaragga’s near perfect game on June 2nd, 2010? That was this guy. He was a top 10 prospect in the Phillies orgininzation in the 2009 season, and since then, he hasn’t done much. In 88 games with the Indians MLB club this year, he managed just a triple slash line of .253/.312/.378 with 4 homeruns and 24 RBI’s. He is most likely a career utility guy at best. P Jason Knapp: This was the last piece of the deal. At the time, Knapp was having a bad year in the Phillies A-Ball team, with just a 2-7 record and a 4.18 ERA. 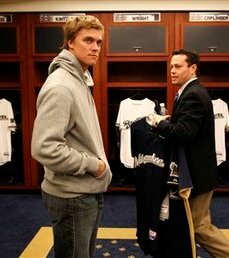 He is now regarded as a highly touted prospect, as he was ranked #64 throughout baseball by Baseball America entering the 2010 season. 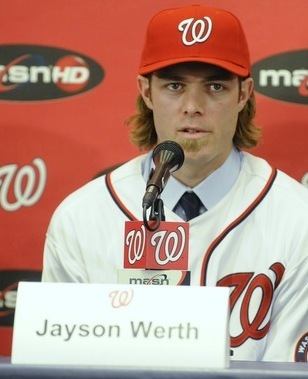 Although he has a long road before he hits the majors, this guy is showing promise. In part two, Wilchiro will be reviewing the trade that sent pitcher Cliff Lee to the Mariners in a blockbuster deal. I hope you enjoyed my post. Amongst many Blue Jays blogs and websites and comments, this is the word I am consistently seeing with regards to Roy Halladay’s 104-pitch no-hit masterpiece in his playoff debut. If you told me five years ago that he would have this type of performance in his first playoff game, I would have believed you. However, there are some things that would have seemed strange: He pitches for the Philadelphia Phillies. In the National League division series. Less than one year after he was traded away from Toronto. As a lifelong Blue Jay fan, it is difficult to know how to react to a situation like this. Roy Halladay is a winner; there is no question about it. Whether he was receiving appropriate run support or not while he pitched for Toronto, he still won games, and still dominated most nights. As a starting pitcher, he has been above 5.0 in WAR seven times in his career. He has lead his league in complete games in six of the past eight years. His other numbers are well known; the dominant ERA, WHIP, etc. Even if you are partial to pitcher wins, he’s had over 16 wins in seven of the past nine years. He is the total package. Add to that his incredible work ethic, his contributions to the community, and his influence on his fellow pitchers, and you pretty much cannot dislike this man, unless you are in the unfortunate position of being in the batter’s box against him. The Blue Jays could not put a team together to surpass New York, Boston, or (more recently) Tampa Bay during his time in Toronto. 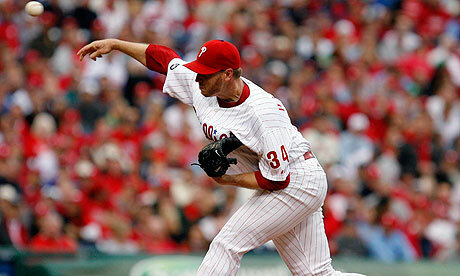 Halladay, on two occasions, signed under-market extensions with the Blue Jays in order to make it work there. The team could not get over the hump. Despite their best efforts, they fell short every year. The man that the late, great Tom Cheek christened as “Doc” Halladay did not pitch in a playoff game for Toronto. Toronto fans are torn. Halladay did ask out, in the end. He knew he was running out of time, and needed to make a move. On the other hand, all of the good things Doc did in Toronto will stick with many fans. I know this fan was on the edge of his seat from the sixth inning on last night. I know this fan jumped when the final out was recorded. I know this fan had a tear in his eye. Even though it is too bad it didn’t happen in a Blue Jay uniform, this type of performance couldn’t have been turned in by a better man. Those who saw the game were witnesses to baseball history, Blue Jay fans or otherwise. From where I sit, that is the bottom line.